Enter Norton Commons via the roundabout then take the first left onto Angel Trumpet Drive. House is the blue colonial on the right just past Cranebill Drive. PRICED TO SELL, with CORNER LOT, PRIVATE VIEWS, CARRIAGE HOUSE, BACKYARD LARGE ENOUGH FOR POOL, with 5 Bedrooms/ 4 Full-Baths. The original owners of this gorgeous custom-built Buttorff(builder) home have had a hard time letting go of this beauty on one of the BEST LOTS to be found in Norton Commons (directlyacross from Heritage Park) and have come down nearly $150K in price, but tell us they are 'READY TO SELL' and are even offering $5, 000 toward painting allowance and a Home Warranty. CHERISHED in Norton Commons: you will not look out of a single windowof this home into the window of another home despite windows galore! 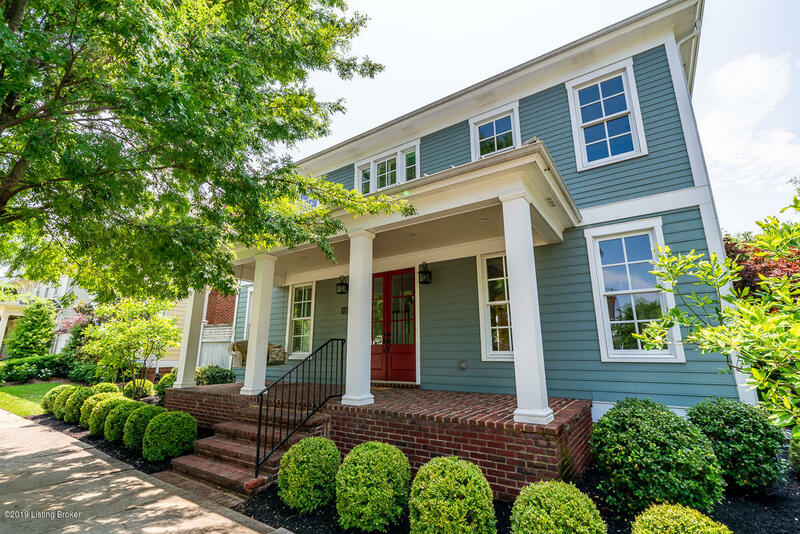 Enter this meticulously craftedhome from the porch wrapped with Old Virginia brickinto the trim-adorned open foyer.